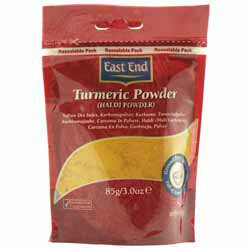 East End Turmeric Powder (Haldi) lends a wonderful, woody aroma and flavour to dals, vegetables, meat, poultry and seafood dishes. Haldi is used in pilau rice to provide its golden yellow colour and is also a basic ingredient of curry powder. 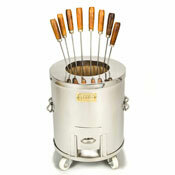 "Dear Spices of India, Big E for excellence on all counts."